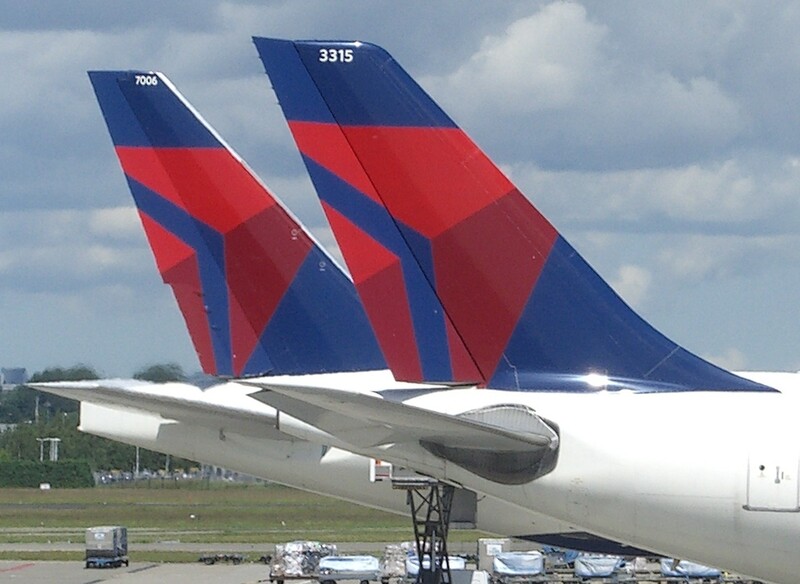 Delta Comfort+: an aviation oxymoron? | A balanced diet . . .
Delta Comfort+: an aviation oxymoron? Before I retired in 2010, I was able to fly Business Class for most of my international travel for flights in excess of eight or nine hours. Very comfortable indeed. You certainly arrive at your destination better rested (if not a little overhung occasionally) to take on the challenges of a new day of meetings. I’ve often departed from Manila on the Emirates midnight flight to Dubai. connecting with another to Rome just a couple of hours after landing in Dubai, then been in my first meeting less than two hours after arriving in Rome. I would have found that very difficult traveling in Economy. I know that’s the the norm for most travelers, and I’m just thankful that my employer saw the real advantages of Business Class travel. 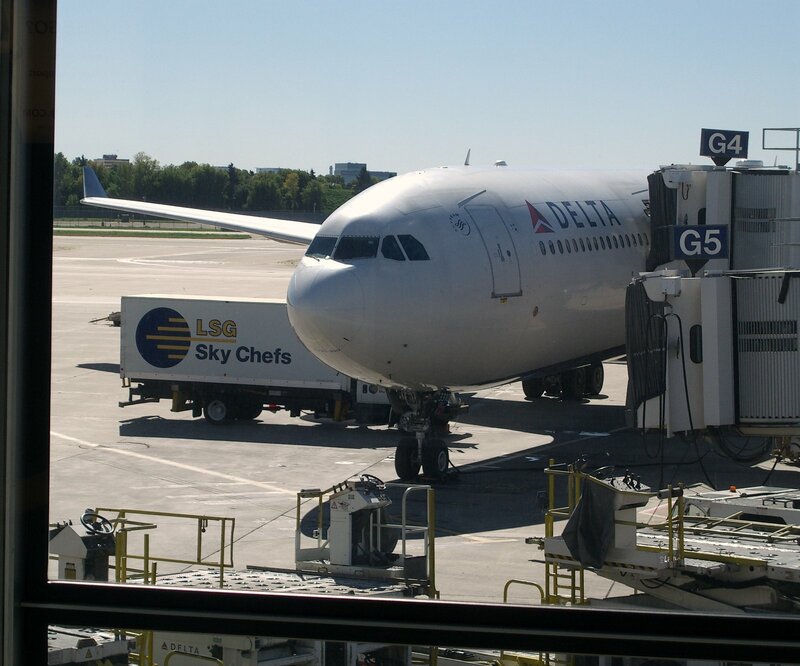 However, since retiring in 2010 we’ve flown Economy for personal travels to visit our daughter in St Paul, Minnesota (MSP), and all flights were with Delta Air Lines from Amsterdam (AMS) or (on one occasion) from Paris-Charles de Gaulle (CDG), connecting from Birmingham (BHX). This year, having made our flight reservations way back in March, I decided that we should try Delta Comfort+, the airline’s ‘enhanced’ Economy service, offering wider spacing between seats, priority boarding, seating at the front of the Economy cabin, and free drinks. And for these ‘privileges’, we paid an extra £60 each per flight. Even so, the total amount we paid, £1,601, was less than we had paid in 2014 for ‘regular’ Economy seats. Delta’s A330 aircraft have a 2-4-2 seating configuration in Economy, so I chose window and aisle seats as far forward as possible. Delta Comfort+ seats occupy the first five or six rows of the Economy cabin. We had 11A/B on the outbound flight, and 12A/B on the return (the second and third rows respectively). So, was Delta Comfort+ worth the additional expense? Well, ‘Yes’ and ‘No’. In terms of wider spacing between seats, it’s hard to credit just how much more comfortable this made both flights. The seats are essentially the same as the other Economy seats: same width but there is a slightly greater pitch when reclining, but hardly noticeable. It’s the extra four or so inches between rows that makes all the difference. 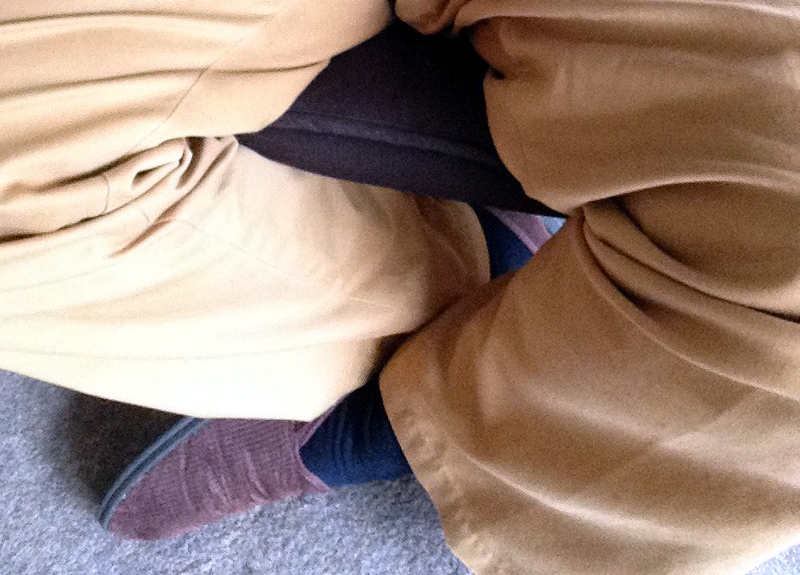 In a regular seat, I find that I have to sit with my ankles crossed, tucked underneath me, as I’ve illustrated below. Not so in Comfort+. I could stretch out, move around, find a comfortable position and, if needs be, move past Steph quite easily as she was sitting in the aisle seat. So for the extra space, the extra cost made both flights that much better. We didn’t enjoy priority boarding in Amsterdam, although we arrived at the gate just as boarding had begun. It seems the Schipol/KLM employees had never heard of Comfort+. Not so on the return, where Comfort+ passengers did board shortly after Business Class under the watchful eye of Delta ground staff. We were seated right at the front of the Economy cabin. This was very convenient on arrival at MSP, as we were among the first to disembark, and through Immigration quickly (which was, for the first time in many, quite a pleasant experience!). I did enjoy a few gin and tonics, but the cabin crew weren’t overly generous with the drinks service. Delta doesn’t offer an ‘extensive meal menu’ in Economy: you can choose from a hot chicken dish, a cold chicken salad, or a pasta dish. And it’s been the same on all the flights to and from the USA that we have taken since 2010. I usually ask for the hot meal, and then wonder why I didn’t ask for the salad. This was most certainly the case from MSP – AMS last week. The ‘chicken BBQ’—small cubes of chicken in a spicy sauce (it could have been tofu for all I could tell), a slurry of sweet potatoes, and some veggies—was unpalatable, and almost inedible. The salad definitely looked much better value. But the brownie that was served up was delicious, containing large chunks of chocolate. More’s the pity, there was no ice cream on the return flight. So, how would I rate Delta Comfort+, and would I recommend it to anyone considering flying Delta to the USA. Recommendation: I think the extra expense was worth it, and I arrived at both destinations feeling fresher than I have done in past flights. I will certainly purchase Delta Comfort+ seats for our next flights. However, in feeling more relaxed, I can’t discount the fact that this year we had no hassle whatsoever with our tickets, transfers, connections, etc. Schipol Airport in Amsterdam is undergoing yet another refurbishment. But they have made one very important change since we last passed through. There are no longer any security checks and screening at any of the departure gates. Once through the central security, or when transferring flights, there’s no need for extra hand baggage screening, removing shoes, belts and the like, and passing through a security screen. Saves on time and on hassle. Also, Delta has taken over Gate D1 entirely. A brief security check is made there, a few questions, and it’s on to the actual departure gate that could be in any of the terminals. Fortunately our departure to MSP was from D45, nevertheless about 8 minutes walk from D1. Here’s a video of the take-off and landing for each flight. I just love the roar of the engines as they spool up. This entry was posted in Out and about, Travel and tagged AMS, BHX, Delta Airlines, Delta Comfort+, MSP.